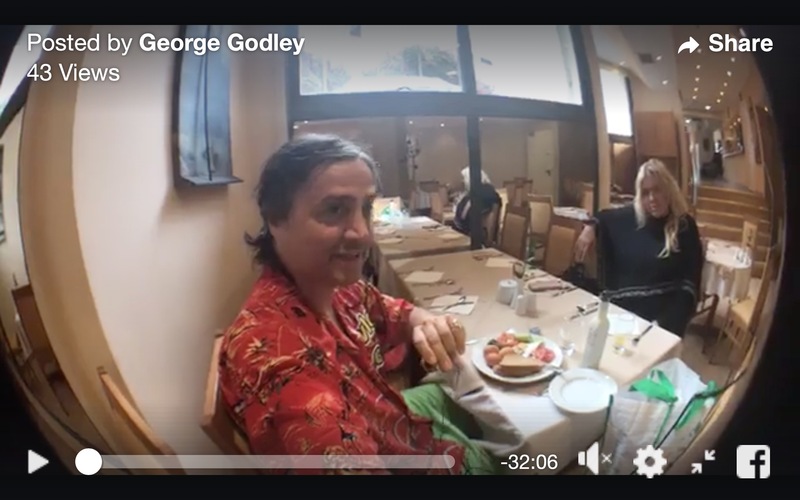 Japagreek linner facebook live Geo Godley & lady friend Athens Greece sat 24 nov 2018 iphone7 fail, 14min15 duration 350mb cellular data wifi. Cosmote balance 9377mb from 9728mb = 350mb = 14 min facebook live homu meal. So 25mb/min, 1,500mb/hour, 9,000mb= 6 hours = €50 plus €15 unlimited non data internet? Plus 3,000 mb gift? Facebook live: blury low res 320p, viewcounter failure contradicted by tests, hypestat & vimeo autoplay stats, bad busines$.